Beautiful trip to the mountains in Norway. Right at the middle of winter the trees are covered in rich show. A fairytale picture. Here is a collection of pictures from a recent trip to Norway. Weather was very favourable with mainly clear skies and good sunrise and sunset opportunities. The sunrise and sunsets are quite beautiful. Being a northerly location means that photographing a sunrise does not means a crazy early. A relaxed breakfast and then out. Beautiful Norway in winter with rich snow and clear blue skies. 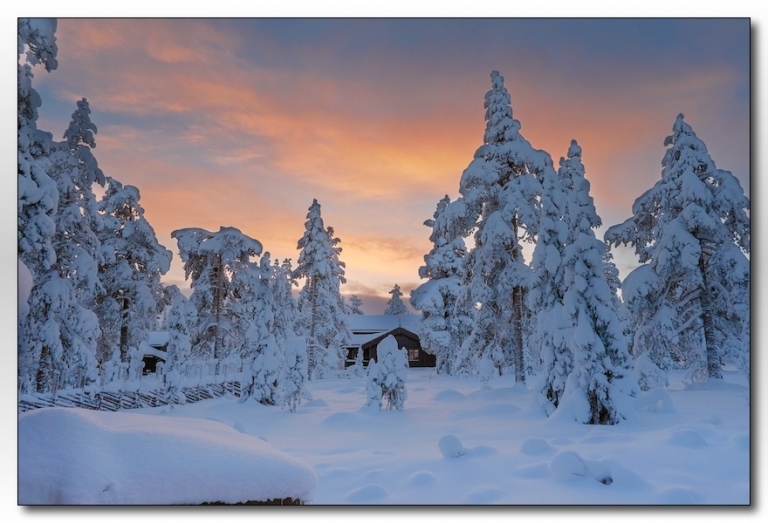 Norway – great winter wedding photography location for couples who love the outdoors. A high latitude country giving a wide range of day light hours between winter and summer. This same high latitude limits the air temperature hence the conditions in the mountains in winter. 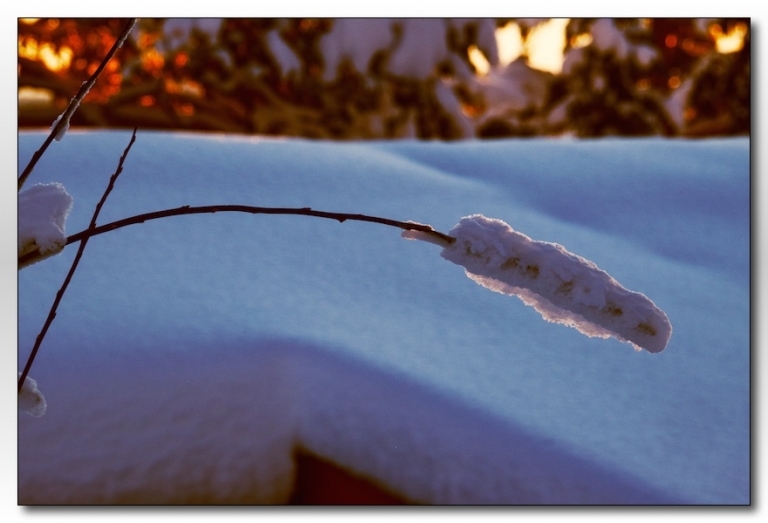 With temperature down to around -20C on this visit the snow stays quite powdery. Trying to make snow balls is impossible, as you try compress it, the snow just explodes in you hands. These mountains are to the east of the country so in land. Another great area to visit would be the coastal area to the west with the beautiful fjords with the steeply rising mountains on either side. 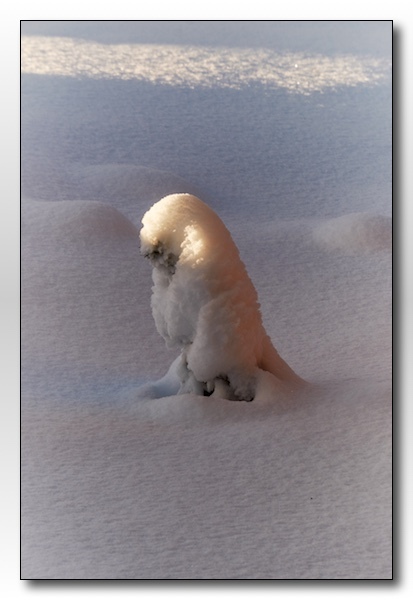 A Norwegian penguin, actually a tree stump just covered in wind swept snow. Looks cute though. 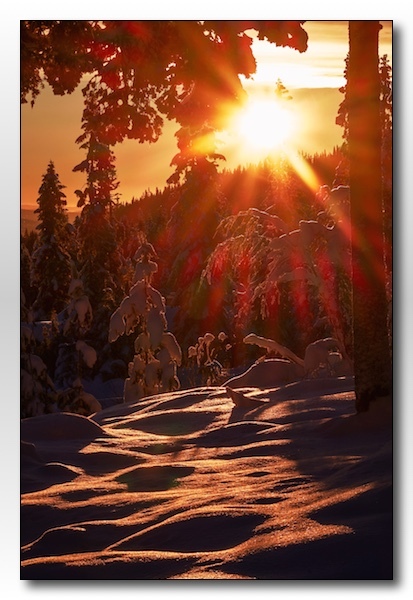 A fabulous sunrise from a low sun catching the bumps in the snow and bursting through the trees.